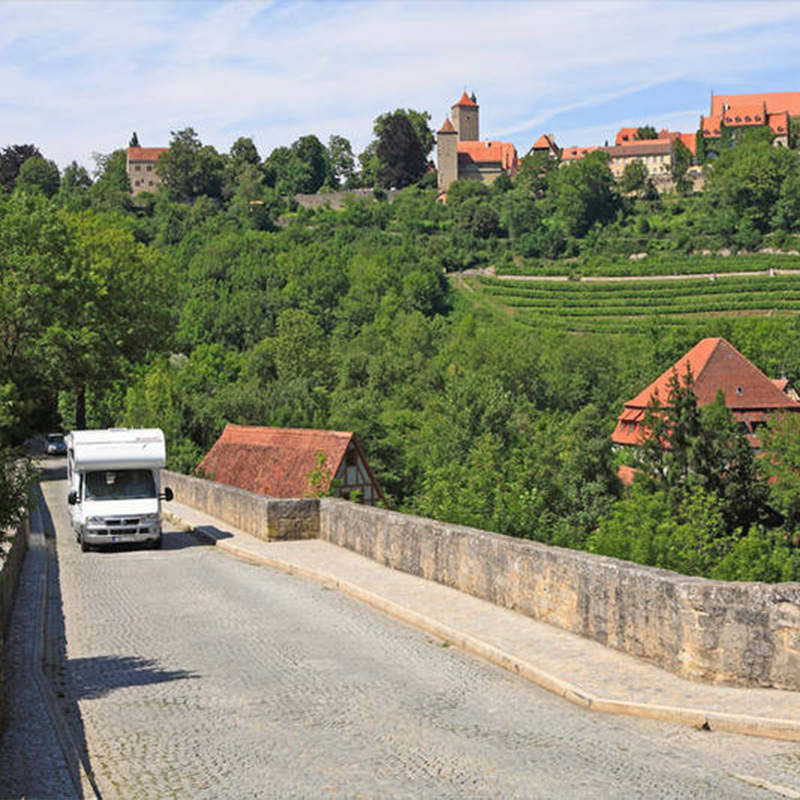 Those who like camping and traveling with their motorhome have a ruge range of choices around Rothenburg. The camping sites “Tauber-Idyll” (idyllic) and “Tauberromantik” (romantic) not only sound inviting, they are! Both are idyllicaly located on the edge of the Tauber valley nature reserve. And both are no more than twenty minutes on foot to the popular old city at the heart of Rothenburg. Camping around Rothenburg also means excellent electricity and water supplies and well maintained and regularly refurbished sanitation facilities. Open from one week before Easter until end of October. Open from mid-March until mid-November and December. Water and sewage disposal installations are available.